“Global demand is 100.5 million b/d and supply is running around 99.5 million b/d. So you got 1 million b/d gap…which means something’s gotta give,” said Goldman Sachs’ head of commodities Jeffrey Currie at the S&P Global Platts Crude Oil Summit at the start of this month. “A lot of people are concerned about higher oil prices and their impact on demand. The evidence really isn’t there,” he added, making a strong case for oil bulls if he were the only analyst with knowledge of the oil market. However, he is not. Earlier this year, the International Energy Agency cut its oil demand forecast for 2018, explaining the revision with higher Brent crude prices. 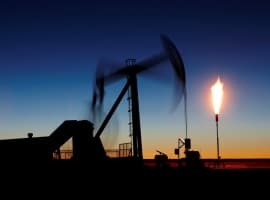 At the time, Brent crude had not even reached its three-year high of US$80, but the IEA cut demand growth projections to 1.4 million bpd from 1.5 million bpd forecast earlier in the year. But, bulls would say, OPEC is keeping its 2018 demand growth projections optimistic, at more than 1.6 million bpd. Bulls would be right, of course, but OPEC and the IEA hardly compare in terms of bias. OPEC has been known to revise its demand forecasts downwards, but this has only happened in extreme cases, when there has been too much evidence that demand is not as strong as the cartel wants it to be. Related: Can Saudi Arabia Prevent The Next Oil Shock? Speaking about evidence—or lack thereof as per Currie—it’s worth noting that the reason Saudi Arabia started hinting at a reversal of the OPEC+ production cuts was a complaint from India’s Oil Minister, Dharmendra Pradhan, about unreasonably high oil prices. This looks too much like evidence of high prices hurting demand, and hurting it in the biggest driver of global demand growth, Asia’s third-largest economy. India may be the single biggest driver of oil demand, but there are others, too, and they are all in the emerging market parts of the world. This fact means that we are about to see more evidence of high oil prices hurting demand. But emerging market governments are stepping in to mitigate the effects of higher oil prices, Nick Cunningham noted in a recent story for Oilprice. Indeed, they don’t have a wide choice of options to keep a lid on negative sentiment among the population: Brazil recently agreed to put an artificial cap on prices at the pump to end a crippling truckers’ strike, for example. Other countries are considering a freeze of fuel prices. The question is: how long can they keep it up? This is the million-dollar—or million-barrel—question for the industry, analysts, and traders. Price controls have been known to work for a while, even for a long while, in places such as, say, Saudi Arabia. But even there, the government was forced to ease fuel subsidies amid the oil price crisis. Can emerging markets afford to stop subsidizing fuels and let the market regulate itself? Well, China recently surprised everyone in solar with an announcement that it would stop approving new solar projects as it struggles with a massive solar subsidy bill. Subsidies are tricky business, in solar and oil alike. Oil prices don’t lie. They reflect the true picture in the global oil market. If global oil demand has overtaken global supply as Goldman Sachs is claiming, we would have seen prices exceeding $80 a barrel and going further upwards rather than hovering around $75-$77. Furthermore, I would not take even for one minute the International Energy Agency’s (IEA’s) forecasts on global oil demand or any other matters seriously because the IEA as the representative of major oil consumers mainly western consumers has vested interests in depressing oil prices. Its well-known hyping on US shale oil reached such a vehemence that the Saudi oil minister Mr Khalid al-Falih was forced to rebuke the IEA publicly during the last Economic Forum in Davos. I would definitely trust OPEC forecasts on global oil demand. Moreover, it is laughable to claim that the reason Saudi Arabia started hinting at a reversal of the OPEC/non-OPEC production cut agreement was a complaint from India’s Oil Minister about unreasonably high oil prices. India is not the single biggest driver of oil demand. It is China and China has not complained about high oil prices. The real reason Saudi Arabia started hinting about lifting oil production is a request by President Trump to increase oil production to replace any shortfall in Iran’s oil exports as a result of the forthcoming US sanctions. 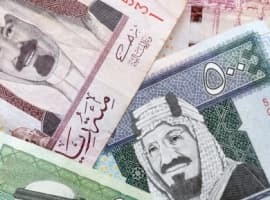 Saudi Arabia is keen to join the US-Israel axis against Iran even at the expense of harming its own economy. History is replete of examples of Saudi appeasement of the United States by quenching its addiction to oil, financing its wars and doing the United States' bidding. 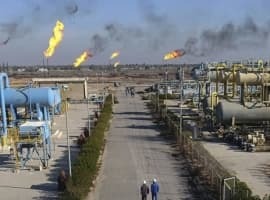 By acceding to President Trump’s request, Saudi Arabia will be risking unravelling the OPEC deal that has brought an end to the glut in the global oil market and pushed on prices to $80 and also inflicting huge damage again on its own economy which is already bleeding blood and money in the war in Yemen.